In 1950 the Convention that established the World Meteorological Organization (WMO), came into force. ICAO works closely with the WMO to carry-out and monitor the meteorological issues that impact civil aviation. The Standards and Recommended Practices (SARPS) for this area of responsibility are contained in ICAO’s Annex 3: the Convention on International Civil Aviation Meteorological Service for International Air Navigation. As a specialized agency of the United Nations, the WMO is dedicated to international cooperation and coordination on the state and behaviour of the Earth’s atmosphere, its interaction with the land and oceans, the weather and climate it produces, and the resulting distribution of water resources. The WMO supports National Meteorological and Hydrological Services that work around the clock to provide vital weather and climate information worldwide. Their early and reliable warnings of severe weather and fluctuations in air quality, as well as of climate variability and change, allow decision-makers, communities and individuals to be better prepared for weather and climate events. These warnings help save life and property, protect resources and the environment and support socio-economic growth. It is through these efforts that they help to ensure international commitments in the areas of disaster risk reduction, climate change mitigation and adaptation, and sustainable development are met. Pilots need to be informed about meteorological conditions along the routes they are flying, and at their destination aerodromes. Annex 3 outlines the meteorological services that contribute to the safety, efficiency and regularity of air navigation – this is achieved when the necessary meteorological information is provided to operators, flight crew members, air traffic services units, search and rescue units, airport management and others concerned with aviation. It is essential that there is close liaison between those supplying meteorological information and those using it. 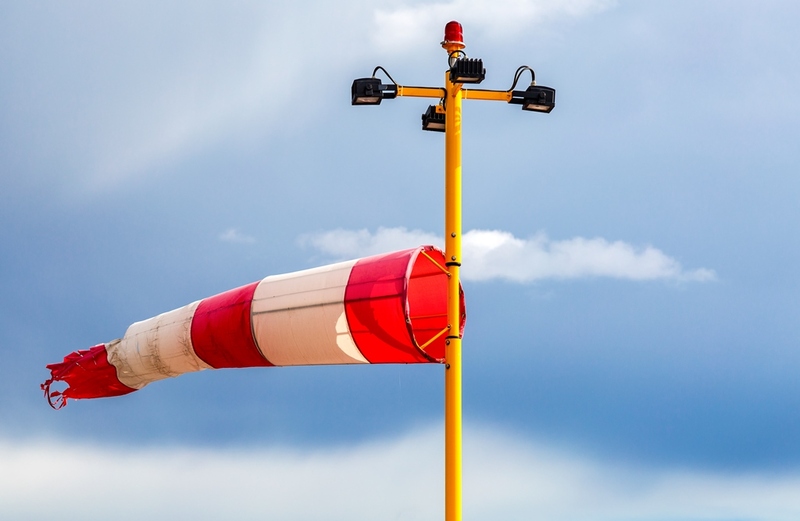 Meteorological information is generally provided to aeronautical users by a meteorological office; States permit aerodrome meteorological offices to supply information to air traffic services and search and rescue services. This communication with control towers and approach control offices allows for the required points to be contacted within 15 seconds. Aerodrome reports and forecasts are required by aeronautical users to carry out their functions. These reports include surface wind, visibility, runway visual range, present weather, cloud, air and dew-point temperature and atmospheric pressure, and are issued either half-hourly or hourly. The reports are complemented by special reports whenever any parameter changes beyond pre-fixed limits of operational significance. Aerodrome forecasts include surface wind, visibility, weather, cloud and temperature, and are issued every three or six hours for a validity period of nine to 24 hours. Aerodrome forecasts are kept under continuous review and amended by the meteorological office concerned, as necessary. Landing forecasts are prepared for some international aerodromes to meet requirements of landing aircraft. Landing forecasts contain expected conditions over the runway complex in regard to surface wind, visibility, weather and cloud, and are appended to the aerodrome reports and have a validity of two hours. To assist pilots with their flight planning, most States provide meteorological briefings which are increasingly carried out using automated systems. Briefings comprise details of en-route weather, upper winds and upper-air temperatures, often given in the form of meteorological charts, warnings related to hazardous phenomena en-route, and reports and forecasts for the destination aerodrome and its alternates. To provide aircraft in-flight with information about significant changes in weather, meteorological watch offices are maintained. They prepare warnings of hazardous weather conditions, including thunderstorms, tropical cyclones, severe squall lines, heavy hail, severe turbulence, severe icing, mountain waves, sandstorms, dust storms and volcanic ash clouds. Moreover, these offices issue aerodrome warnings for meteorological conditions that could adversely affect aircraft or facilities on the ground (i.e. warnings of expected snowstorms). They also issue warnings for wind shear for the climb-out and approach paths. Additionally, aircraft in flight are required to report severe weather phenomena encountered en route. These reports are disseminated by the air traffic services units to all aircraft concerned. On most international routes, routine observations are made by aircraft of upper winds and temperatures. They are transmitted by aircraft in flight to provide observational data that can be used in the development of forecasts. These aircraft observations of winds and temperatures are being automated using the air-ground data link communications. As far as route forecasts are concerned, all flights require advance and accurate meteorological information so as to chart a course that will permit them to make use of the most favourable winds and conserve fuel. With rising fuel costs, this became increasingly important so ICAO implemented the World Area Forecast System (WAFS). The purpose of this system is to provide States and aviation users with standardized and high-quality forecasts on upper-air temperature, humidity and winds and on significant weather. The WAFS is based on two world area forecast centres which use the most up-to-date computers and satellite telecommunications (ISCS and SADIS) to prepare and disseminate global forecasts in digital form directly to States and users. Over the years incidents have occurred due to aircraft encounters with volcanic ash clouds following volcanic eruptions. 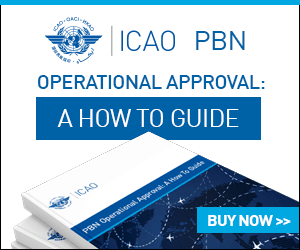 In order to provide for the observation and reporting of volcanic ash clouds and the issuance of warnings to pilots and airlines, ICAO, with the assistance of other international organizations, has established an international airways volcano watch (IAVW). The corner stones of the IAVW are nine volcanic ash advisory centres which issue advisory information on volcanic ash globally, both to aviation users and meteorological offices concerned. Meteorology and the changing climate play a significant role in the aviation industry. Update your library with this comprehensive guide to the meteorological practices, forecasts and reports relevant to air navigation. It also includes information about space weather centres and the requirements to disseminate information using ICAO’s Meteorological Information Exchange Model (IWXXM).